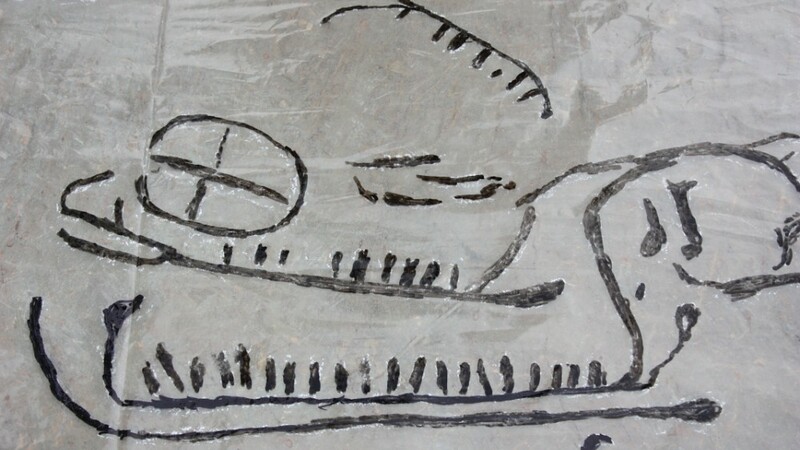 In late November, when Stein Espen Bøe and his wife Kristin living in the town of Haugesund drained around their house and had to remove the front entrance, it appeared some rock carvings showing several ships and a sun cross. After being examined and recorded by archaeologists from the Stavanger Museum and Rogaland County, the finding proves to be about 3000 years old. 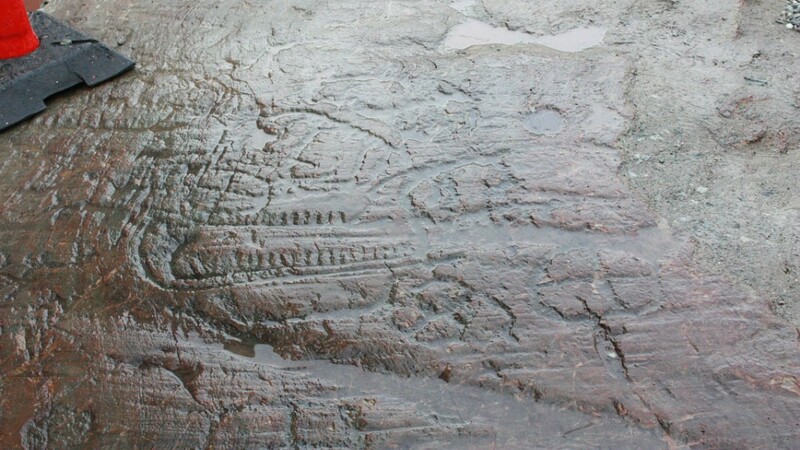 The Bronze Age drawings that probably have been part of a larger part is covering about two square meters and display ships with crew and a sun cross. 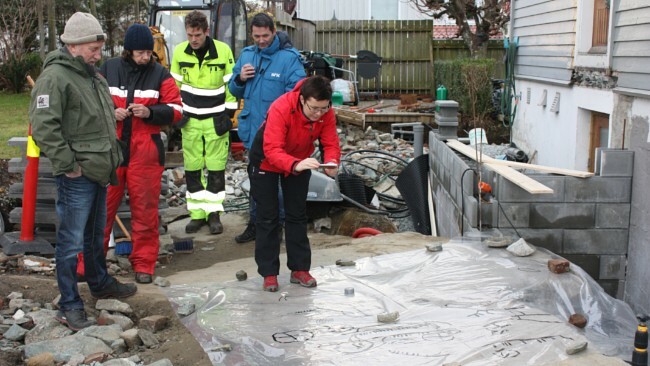 The discovery of the largest Bronze Age rock art finding from the Haugesund region is like any other similar findings from this time period a mystery. However, it is very interesting to observe that one of the ships has a crew of twenty people. – It is a stunning discovery. Here we see typical Bronze Age drawings, as several ships and a sun cross, says Department Manager at the Archaeological Museum in Stavanger, Mari Høgestøl to NRK. Høgestøl says the finding is unique since it has been covered in large parts of the past. – This is why they have not been exposed to weather and wear during the 3000 years that have passed since they were carved, says the archaeologist. Field Archaeologist in Rogaland County, Christopher Kvæstad, says to NRK that the finding should be preserved for future research and be covered up. – We have received proposals to cover it with stone dust, textile and asphalt, and right now it sounds like a good option, says Espen Bøe. Técnicos del museo de Stavanger y del Gobierno Civil de Rogaland constatan ahora que los petroglifos que un vecino de Haugesund descubrió recientemente son auténticos. Se calcula tienen 3 000 años de antiguedad y muestran a 20 personas a bordo de una embarcación.